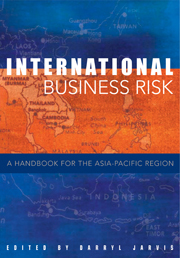 The increasing dominance of the Asia–Pacific region as a source of international business growth has created a dynamic and complex business environment. For this reason, a sound understanding of regional economies, communities and operational challenges is critical for any international business manager working in a global context. 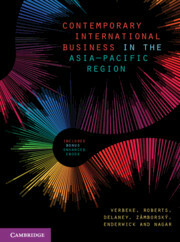 With an emphasis on 'doing business in Asia', Contemporary International Business in the Asia–Pacific Region addresses topics that are driving international business today. 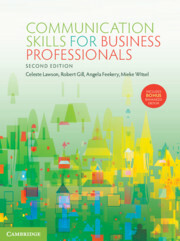 Providing content and research that is accessible to local and international students, this text introduces core business concepts and comprehensively covers a range of key areas, including trade and economic development, dimensions of culture, business planning and strategy development, research and marketing, and employee development in cross-cultural contexts. 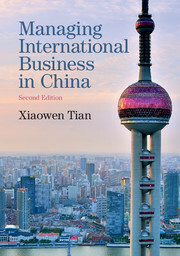 Written by authors with industry experience and academic expertise, Contemporary International Business in the Asia–Pacific Region is an essential resource for students of business and management. Your search for '' returned . 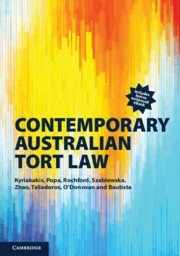 *This title has one or more locked files and access is given only to instructors adopting the textbook for their class. We need to enforce this strictly so that solutions are not made available to students. To gain access to locked resources you either need first to sign in or register for an account. These resources are provided free of charge by Cambridge University Press with permission of the author of the corresponding work, but are subject to copyright. You are permitted to view, print and download these resources for your own personal use only, provided any copyright lines on the resources are not removed or altered in any way. Any other use, including but not limited to distribution of the resources in modified form, or via electronic or other media, is strictly prohibited unless you have permission from the author of the corresponding work and provided you give appropriate acknowledgement of the source. Alain Verbeke is Professor of International Business Strategy and holds the McCaig Research Chair in Management at the Haskayne School of Business, University of Calgary. He is also the Inaugural Alan M. Rugman Memorial Fellow at the Henley Business School, University of Reading, and a non-resident Senior Research Fellow with the Center for Emerging Market Studies at CEIBS, Shanghai. He serves as the Editor-in-Chief of the Journal of International Business Studies (JIBS), the official journal of the Academy of International Business. He was previously the Director of the M.B.A. program at Solvay Business School, Vrije Universiteit Brussel. He has also been a Visiting Professor at Dalhousie University, the University of Toronto and the Université Catholique de Louvain, as well as an Associate Fellow of Templeton College, University of Oxford. He has been an Academic Associate of the Centre for International Business and Management, Judge Business School, University of Cambridge. Robin E. Roberts is an Associate Professor in Agribusiness with the Griffith Asia Institute and an academic with the Griffith Business School. She received her Ph.D. in international business and trade from Griffith University. Roberts' expertise is in applied research in the management of global and national consumer brands and products. Her key interests are in mapping export opportunities, value chain research, labelling and packaging, and new product development in the Asia–Pacific region. Roberts has proven success in delivering increased business performance through market research, and her understanding and dedicated interest in the South-East Asian region makes her a valuable researcher in the field of international business. Roberts has more than twenty-five years of industry experience in international trade, commercial research and marketing management with national and international FMCG (fast-moving consumer goods) organisations. She has led and collaborated in research teams to successfully launch new products and increase exports for numerous public- and private-sector organisations. Roberts is currently involved in a range of international agribusiness research and development projects, and holds a visiting academic position with Shenyang University, China. Deborah Delaney is a Senior Lecturer with the Griffith Asia Institute and an academic in the Griffith Business School. Following an extensive career as a chartered accountant, she has conducted research in the areas of market and consumer insights and strategies for food products in emerging markets, financial reporting and governance, and in education. Delaney received a Ph.D. from Griffith University in 2010. Through her research, Delaney has established expertise in governance practices with a specific interest in the Asia–Pacific region. She has formal qualifications in financial accounting and is a Fellow of Chartered Accountants Australia and New Zealand. She is currently researching and teaching in the areas of financial reporting and governance, with a focus on the agribusiness sector in Australia and the Asia–Pacific region. Peter Zámborský earned his Ph.D. from Brandeis University's International Business School and his master's degree from the London School of Economics and Political Science. He is a Senior Lecturer in the Department of Management and International Business at the University of Auckland, and an Editorial Review Board member of the International Journal of Emerging Markets. 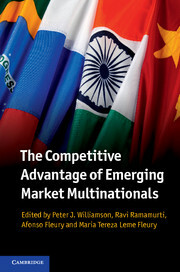 Zámborský's research focuses on foreign entry mode performance, foreign direct investment spill overs and global innovation. He has published in the areas of international business, management and economics. Zámborský is the author of two e-textbooks: International Business and Global Strategy (2016) and Global Strategy: Thriving in a World of Uncertainty (2018). Prior to his work at the University of Auckland, he was an instructor at Harvard University and worked for the Economist Intelligence Unit in London. Peter Enderwick is Professor of International Business at Auckland University of Technology. Between 1988 and 2004 he was Professor of International Management at the University of Waikato, Hamilton. He has held visiting positions at the Helsinki School of Economics and Business, Finland, the University of South Australia, Thammasat Business School, Bangkok, and the Centre for International Business, University of Leeds. His research interests are emerging markets, global factory systems and transnational crime. He is an editor of International Business (2018). Swati Nagar is a Lecturer in the Department of International Business, Strategy and Entrepreneurship, Faculty of Business, Economics and Law at Auckland University of Technology. Specialising in international business, Swati has over fourteen years of academic experience. She currently teaches international business to undergraduate, postgraduate and M.B.A. students at Auckland University of Technology, specialising in business and culture, business in Asia, and international business strategy and management. Swati completed her Ph.D. at Auckland University of Technology in 2015. Her current research interests include the internationalisation of service firms in emerging markets, international construction and labour markets, and outsourcing and corporate governance. She is a member of the Academy of International Business and the Australia and New Zealand International Business Academy.